It was cold. The warmth of the comforter and the futon was extremely inviting, but I was determined not to give in to the temptation because we are going to the market today. 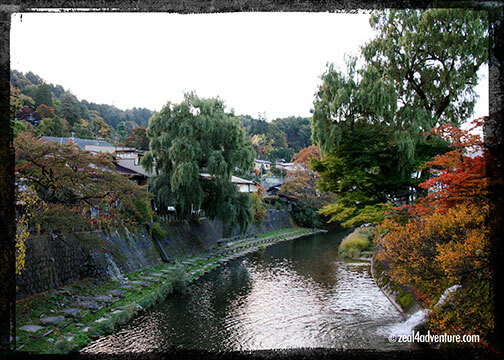 So at exactly 6am, we ambled to the morning market nearer to the ryokan, watching the city wake up along the way. 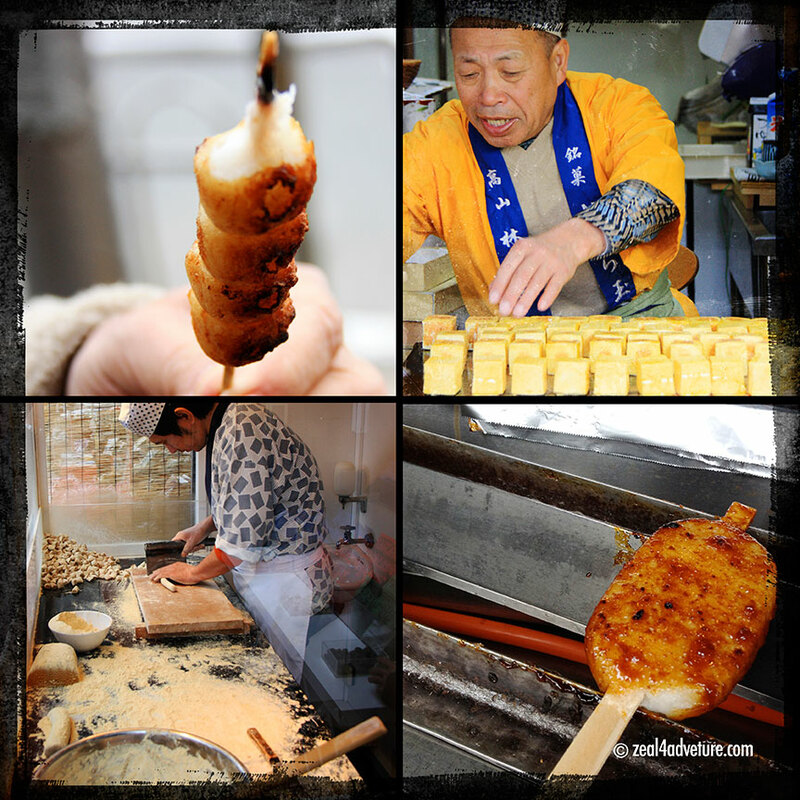 At the Jinya-mae market, we watched it come to life one stall at a time. I expected to see a much bigger market than the neighborhood market it really is. 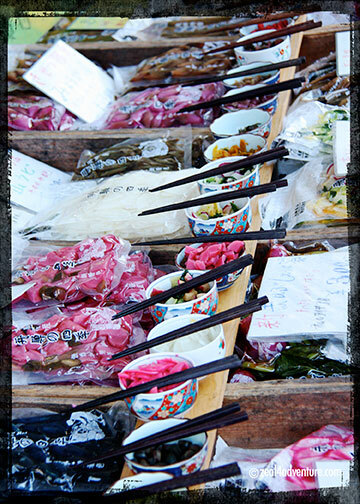 pickled vegetables all wanting to be purchased, begging to be noticed at the least. 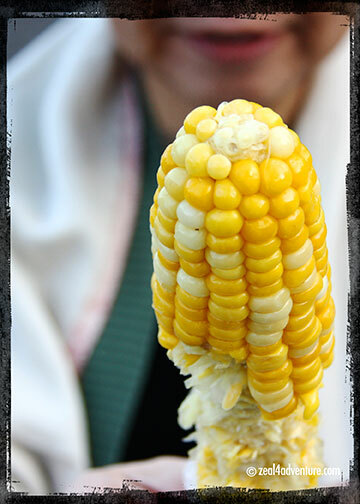 We eventually gave in to this corn – the sweetest and crunchiest I’ve ever had, and that is not an exaggeration. If we weren’t heading back to the ryokan for breakfast, I would have feasted on a few more. 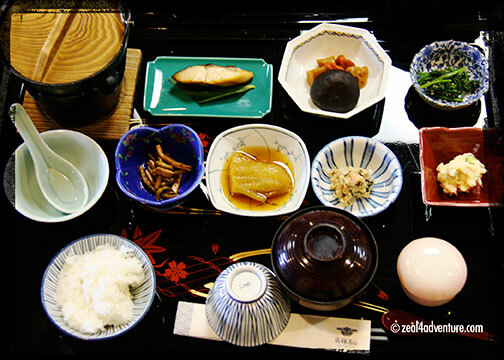 Thank God for good judgement as breakfast was lavish in Hakuun! 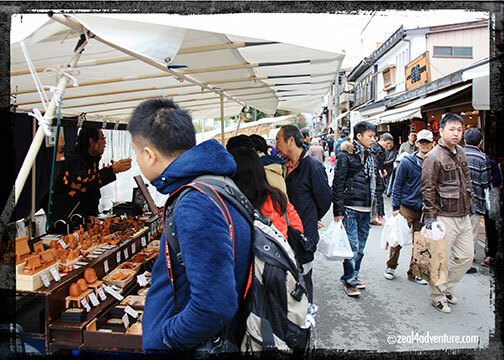 There are two morning markets (Asa-ichi) in Takayama that takes place daily from 6am till noon. 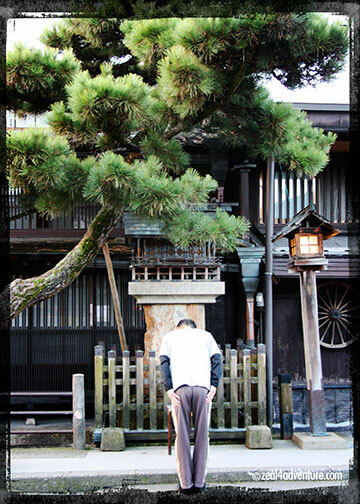 The Jinya-mae morning market can be found in front of Takayama Jinya, a historical office building from the Edo Period said to be the only remaining building of its kind. 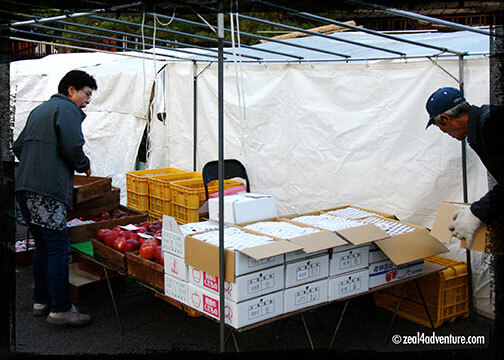 Not far from the Sanmachi district is Miyagawa morning market. 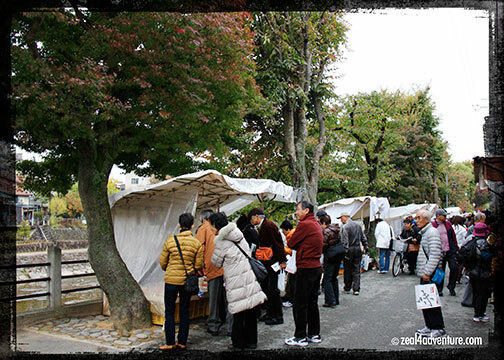 This market situated along the east bank of the Miyagawa River is bigger and I believe geared more towards the tourists. 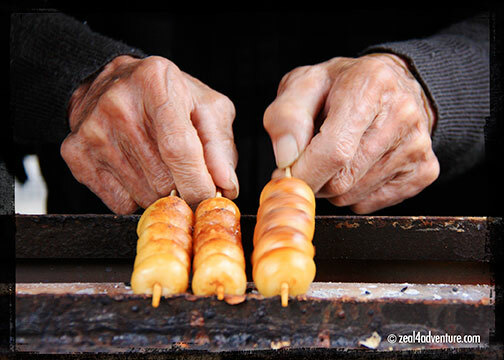 Stalls selling crafts of wood or fabric, souvenirs, street foods are spotted alongside fruits and vegetables stands. Interesting bites that had us so full but wanting more. So with these bites in tow, we explored the market. Here, tourists abound or maybe it was the time of the day – when the city was already fully awake and vibrant with life. Here, the lure to buy is much, much greater. Here, I looked, I tried some, I got a few to take home. 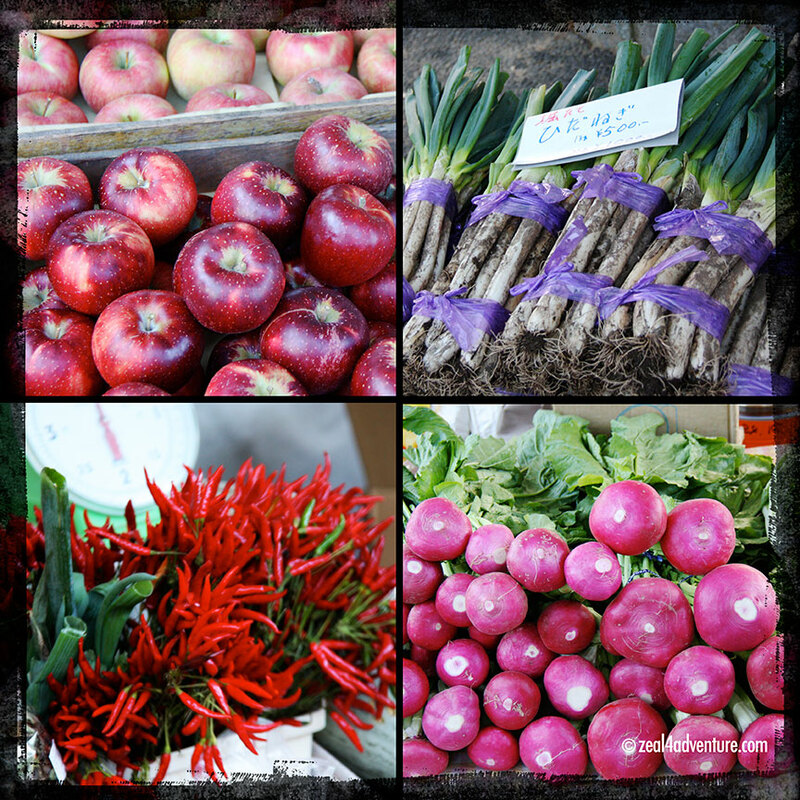 i put local markets and bazaars into my must see list when i travel too. i find that not only are these great photo ops places, they are also the best places to soak up the local color. If I am with you i surely will get the corn, as here we see the tag ‘Japanese corn’ and they really are sweet when newly harvested. I can imagine the tasting escapades that went on with your group. And the photos are beautiful, as always. Here i am again, envious to the max!